Sometimes, I have to tell about them! Happy weekend, friends. I suppose I should be Christmas shopping or at least finishing up an evaluation. Had to share this, though I’m not sure I’m considering this write up a review. I just wanted to post my thoughts on some writing and stories that really impressed me—much more intricate and interwoven than I seem to be able to manage at this point in my own scribe’s journey. I’ve said this before: it’s a rare occasion I search for a book to read. Most find me. 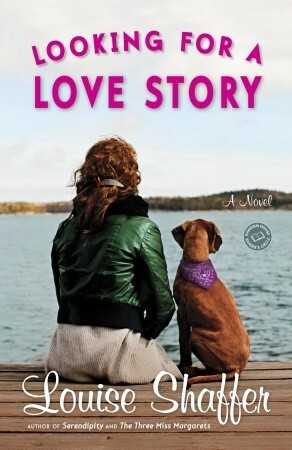 Anyway, as a proclaimed writer of romance you know that title caught my attention, and I asked Retired Coworker if I could borrow Love Story. Retired Coworker has always had a knack for directing the cruise ship’s activities, shall we say? She brought me Margarets instead, deciding I’d like that best. Because, as I stated above, books find me and the back cover blurb was interesting enough, I followed Retired Coworker’s lead. I’ll start by saying both were very well developed stories. If you’re into backstory being told via a series of flashbacks interlaced with the present story unfolding, Ms. Shaffer is your go-to author. 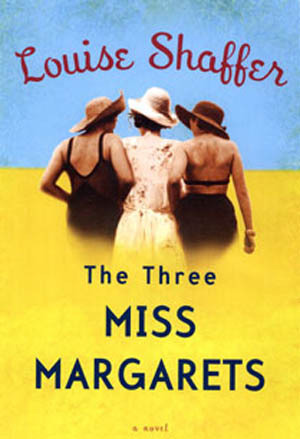 How she put together The Three Miss Margarets and managed to keep track of everything that went on and every character involved is beyond me. Each Margaret’s story was highly detailed and well-told; characters that impacted each Margaret’s life abounded. But, between backstory and present story, there were times I found myself a bit confounded. 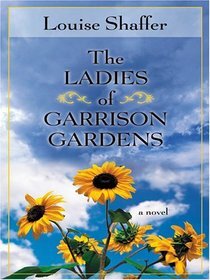 The Ladies of Garrison Gardens was the follow-up to The Three Miss Margarets. I was told by Retired Coworker that she didn’t enjoy it as much as its prequel. The more I read, the more I happily disagreed. I found Ladies to be much more focused and easier to follow. The only point of view (POV) revisited was Laurel McCready’s. (Laurel was just a cool character. Her POV got a laugh out of me almost every time.) The other POV I loved, especially when Ms. Shaffer told that backstory through that character’s flashbacks. (You’ll have to read for yourself, lest I wind up spoiling the story.) BTW, if you’re into Vaudeville, Louise is also your author. She brings those roaring times to life. Having shared that, I’m already enmeshed in Love Story and liking this author’s style and versatility. Ms. Shaffer has this witty way of writing contemporary yet being able to glide effortlessly in and out of the past and its associated time. Places she nails, whether it’s segregated Georgia or modern day Manhattan. I’m just wondering how she’ll handle this ending. And yes, for those who are interested I’ll share what I thought about it when I’m done. A great day and a great weekend to all, folks!